We have witnessed in recent years the emergence of technology start-up ecosystems across the world. New technology trends are reducing the costs as well as the barriers of access to markets and resources for developing technology start-ups. If in the 1990s an entrepreneur needed $2 million and months of work to develop a minimum viable prototype, today she would need less than $50,000 and six weeks of work. 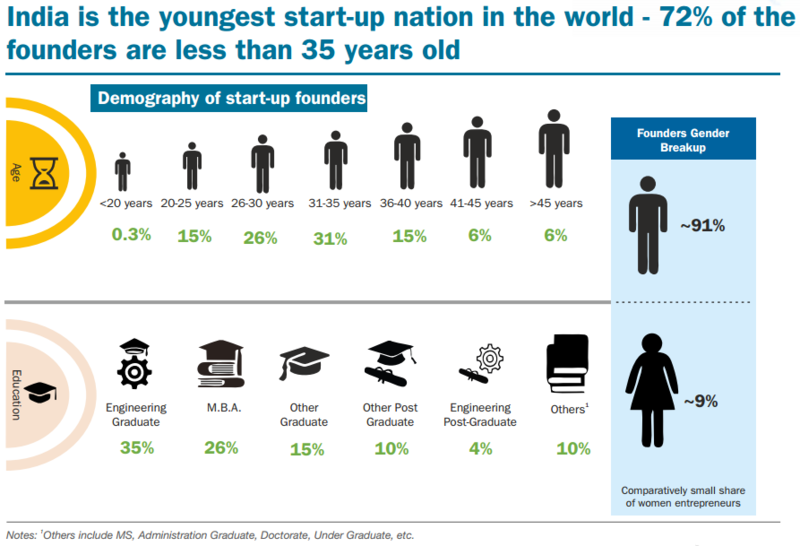 Entrepreneurs are also surging in emerging economies. India hosts major start-up ecosystems in New Delhi and Bangalore, with their start-ups having raised $1.5 billion in funding in 2016 , respectively. São Paulo ranks among the top 20 start-up ecosystems with more than 1,500 active start-ups, closely followed in the region by Santiago and Buenos Aires. Warsaw hosts around 700 active start-ups, and Nairobi is the home of leading African start-ups, such as Ushahidi, M-Pesa or Brck . Tech start-up ecosystems present new opportunities for emerging economies. Local entrepreneurs develop new business solutions that address domestic demands. For instance, in Kenya, M-Kopa is addressing the demand for energy in off-grid locations, a major issue in the country's rural areas. Unicorns, those start-ups that raise more than $1 billion, are no longer a U.S./Europe-only phenomenon. Indian, Chinese and Indonesian start-ups, such as Lu.com, Flipkart or Go-Jek, have reached this valuation, and African Internet Group from Nigeria is poised to be the first African unicorn . Start-up ecosystems also create new jobs. Data from New York City's ecosystem on employment generated in the tech start-up ecosystem shows that most of the jobs generated by tech start-ups are not in start-ups themselves, but in local traditional industries that either are influenced or disrupted by start-ups. Think about a bank or a retail company that has to react to a mobile app providing finance or retail business and that needs to hire new talent to develop a competing app. More than 40 percent of these new jobs do not require a college degree . These are jobs like building a website, a basic database, a web or mobile app. Given all this potential, is there a need to better understand what makes these ecosystems successful and sustainable? Partnering with the Global Entrepreneurship Research Network (GERN), the World Bank Group is surveying start-up ecosystems across the world to help us understand how start-ups connect with each other and how various elements of their ecosystem — such as events, meetups, accelerators, incubators, seed investors and universities — interact with each other. Together with our partner Endeavor Insight and other GERN members, we have already carried out surveys in more than 12 cities, including Beirut, Bogotá, Cairo, Dar es Salaam, New York City, Santiago and Singapore. We expect to survey another 15 cities in the coming months. - People: the human talent needed to create innovations and start-ups. - Economic assets: the elements that provide the means for people to innovate and create start-ups, such as universities and industries and availability of investments. - Infrastructure: transportation, housing, water and sanitation, telecommunications. - Enabling environment: circumstances and policies that promote or restrict innovation and entrepreneurship. In addition to these four elements, interactions and collisions among people were critical in creating and maintaining these ecosystems. These interactions happened organically in events and spaces created by and for the community of entrepreneurs. These included meetups, competitions, hackathons, co-working spaces, accelerators and bootcamps. These "networking assets" seem to be central to the connections among entrepreneurs and the sustainability of the communities of these entrepreneurs, based on new data generated from the start-up ecosystem survey. This has important consequences for policies that aim to support the growth and sustainability of these ecosystems. Many policymakers have focused primarily on infrastructure and the development of innovation districts, while ignoring the creation of an organic community of entrepreneurs and facilitating their interaction with traditional industries, universities and other stakeholders. However, this is exactly what is critical for the success of start-ups and their ecosystems.